August 13, 2012, marks the 70th anniversary of the Manhattan Project, a top secret research & development project in the Columbia Basin, ordered by President Roosevelt during World War II. Its primary goal was to produce plutonium for the world’s first atomic bomb at what is now the Hanford Nuclear Site, located near Richland. The federal government built the City of Richland from scratch (after evicting the residents of Richland, White Bluffs, and Hanford) with houses and duplexes named with letters of the alphabet, designed by Spokane architect Albin Pherson. All land and homes were owned by the government, and residents were assigned homes according to their employment status and family size. Gold Coast Historical District, Richland WA. Courtesy of Google maps. After the war ended, the land and homes were turned over to private ownership. Most of these homes have been updated, some have been remodeled from duplexes to single family homes, and areas that have maintained their original style have been preserved as part of the Gold Coast Historic District. There are also a few farmhouses dispersed throughout the city that precede the World War II era. 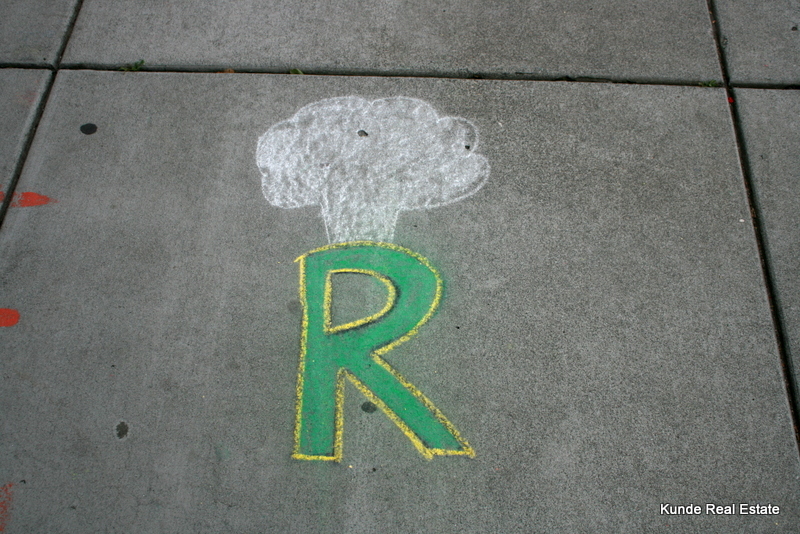 Richland Bomber logo, a chalk art drawing photographed at Uptown’s Chart Art Festival 2012. Artist unknown. Letter houses remain desirable due to their proximity to central Richland and the Hanford Site. They are desired by renovators, and are often purchased as rental properties. 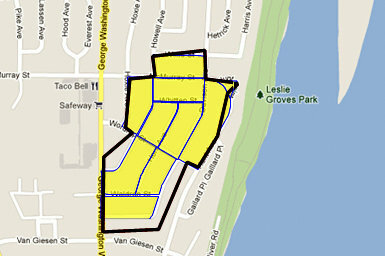 If you’d like to see alphabet houses currently on the market in Richland, just give us a call!